Sunrise Products is one of the emerging wide range of Industrial Heaters like Drum Heater Manufacturers based in India. 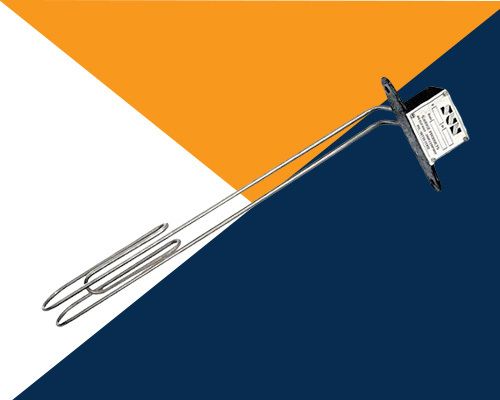 We have stepped into the industry in the year 1990, with the sole aim of serving a wide range of industrial heaters including Coil Heater, Cartridge Heater, High Density Cartridge, Immersion, Oil Immersion, Infrared, Electric, Band Heater, Coil, Strip, Porcelain, Bobbin, Casted, and Air Heaters, etc. to our clients in standard as well as custom designs at the most economical price. Each and every product, we have offered to our clients has made by utilizing crude materials and state-of-the-art technology, which ensure the unbeatable performance and highest possible quality of the products. Additionally, to maintain stress-free working and to give our clients bangs for the bucks, they have passed a number of tests at our in-house facility beneath the stringent regulation. We are an ISO 9001 -2000 Certified company and recognized among our patrons for serving the quality that stands for itself. We have successfully carved our name as leading Heating Element and Infrared Heater Suppliers and Exporters from India. Our offered product range is highly customized and known among our clients for their robust construction, matchless quality, and long-lasting performance. To ask further about the design and its features, send us your query or make a direct call now.